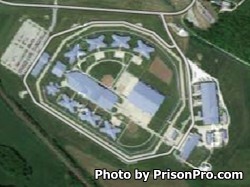 Jefferson City Correctional Center is a mixed custody prison located in Jefferson City Missouri. This correctional institution has a capacity to house 1,971 male inmates of medium to maximum security levels. While incarcerated here, inmates may be eligible to participate in various support positions working jobs within the institution that include janitorial maintenance, food services, and laundry. Offenders can also earn a GED and adult basic education during their sentence. Visiting at Jefferson City Correctional Center is open to anyone who has filled out a Missouri inmate visitors application and been approved. You may visit on Fridays, Saturdays, and Sundays from 9:30am-1:30pm or 2:30pm-6:30pm.